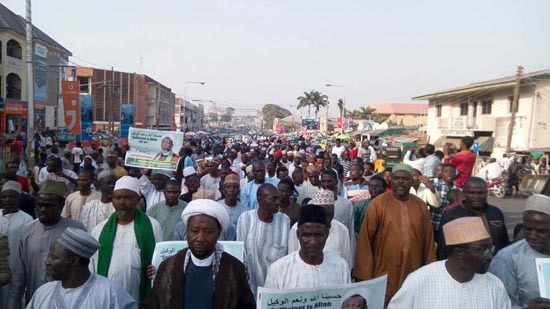 Armed Nigerian Mobile Police attacked peaceful protesters in Kaduna, demanding justice on leader of the Islamic Movement in Nigeria, Sheikh Ibraheem Zakzaky to release for medical attention, following his deteriorating health condition. The protest attended by tens of hundreds of brothers and sisters from all nook and cranny of the city, kicked off from Leventis round about along Ahmadu Bello Way, Kaduna, at about 4:30 p.m. today, Sunday, 7/1/2018. 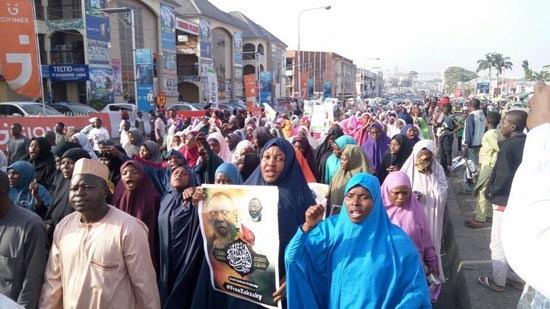 The protest marched through the Ahmadu Bello way to Kano road, chanting justice by the protesters for Sheikh Zakzaky to be allowed access for medical care. Hujjatul Isalam, Abdullahi Zango, leads the peaceful protest. The protest was just about to be terminated, when armed Police attacked it with teargas and live bullet. As at the time of writing this report, one of the protesters was confirmed shot and martyred. Number of those shot or arrested have not been confirmed yet. Members of the Movement shared a typed release to members of the public that was signed by Aliyu Umar of the Kaduna center of the Movement calling for urgent action on the ill-health of their detained leader. Part of the statement reads “Apart from losing the mechanical function of an arm he also completely lost an eye while the other eye is left medically unattended by the authorities keeping him in illegal detention and health torture for over two years now.